Homeopathy was initially thriving in the United States in the early 1800s. Due to pressure from the established medical profession practice its practice almost ceased. Many people today are turning back to homeopathy's gentle and natural remedies. One of the many reasons for doing so is that many people are attempting to avoid over-use of pharmaceutical drugs or antibiotics with their attendant side-effects. Interested in creating success on your spiritual journey? 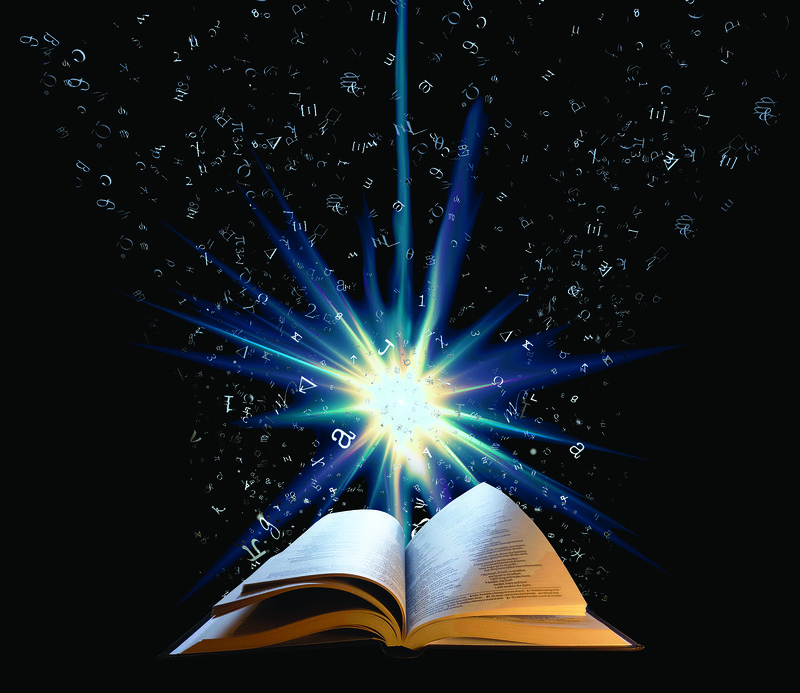 Awaken your Akashic Records, develop your intuition, experience growth and abundance! Homeopathy’s roots emerge from the findings, teachings, and writings of Dr. Samuel Hahnemann (1755-1843). Hahnemann graduated from medical school in 1779 and started his own medical practice. Hahnemann began his first homeopathic experiments in 1790 as a result of becoming disillusioned with many medical practices of the day, such as purging, bloodletting, and the use of toxic chemicals. Many people today are turning back to homeopathy’s gentle and natural remedies. One of the many reasons for doing so is that many people are attempting to avoid over-use of pharmaceutical drugs or antibiotics with their attendant side-effects. Next time you have a virus or a minor ailment, try a homeopathic remedy. I have consulted with three different homeopaths throughout my life for different issues and found all of the treatments gentle and effective. With a little reading and experimentation, you will begin to understand how useful remedies can become in your life. As a British person, I have grown up in a country where we can buy homeopathic remedies in any street pharmacy, and where homeopathic treatments are starting to become available on the National Health Service. A great web site to start with to learn more is 1-800 Homeopathy.com. It’s useful and informative and they recently started a blog. Two other companies who create homeopathic products in the USA are Boiron and Hyland’s homeopathy. Dana Ullman is a nationally known homeopath in the USA and currently contributes regularly to his column at the Huffington Post. Debby Bruck has created an excellent and informative website called the Homeopathic World Community. When you go to see a homeopath, he or she will check your symptoms. The homeopath will then prescribe a remedy. Homeopathic remedies contain a very small amount of something that causes the same symptoms as the illness. Your immune system is stimulated by the remedy and reacts to the remedy and your body’s symptoms by fighting off the illness. The healing properties of a remedy can be subtle, and sometimes friends will say ‘Oh, it just got better by itself’. I’ve heard those words many times after someone has taken a homeopathic remedy! There is now increasing scientific evidence into the efficacy of homeopathic treatment based on new groundbreaking research into the nature of energy. Luc Montagnier, a Nobel prize-winning scientist for his research on the AIDs virus, says that the research he has done on the effects of viral imprints in water also show why homeopathy works. 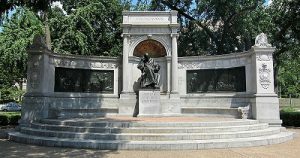 Did you know that there is a memorial dedicated to homeopathy in Washington DC? There is an impressive memorial that stands to the east of the Scott Circle, near the cross section of Massachusetts and Rhode Island Avenues in Washington DC, honoring Samuel C. F. Hahnemann’s work. The pedestal bears the well-known principle of homeopathy, expressed in the Latin phrase, similia similibus curantur (“like cures the like”). Perhaps more of us in the future will come to appreciate the ground-breaking work that this man created! Coffee? I’ve got that coffee feeling…. | Some comments on a coffee habit, coffee for health and a little homeopathic help when you’ve had too much! Loving the blog! Always a joy to read positive articles about homeopathy. Keep it up. Thanks for the comment Claire, it’s appreciated! Please note I also have a Facebook page at http://www.facebook.com/momonaspiritualjourney where we’re starting to discuss and post. Pingback: Arnicare Gel – one homepathic Gel – many uses!